The warmer weather has arrived and families are gearing up for summer travel. Janessa from Thrifty Nifty Mommy recently shared about Summer road trip must-haves for families with children. Safety is a top priority when it comes to road trips, and that's why we're excited to offer a giveaway for Janessa's favorite car seat, the Diono Radian RXT Convertible + Booster Car Seat. Make sure you check out her post for a full list of items that will make your road trip a success! 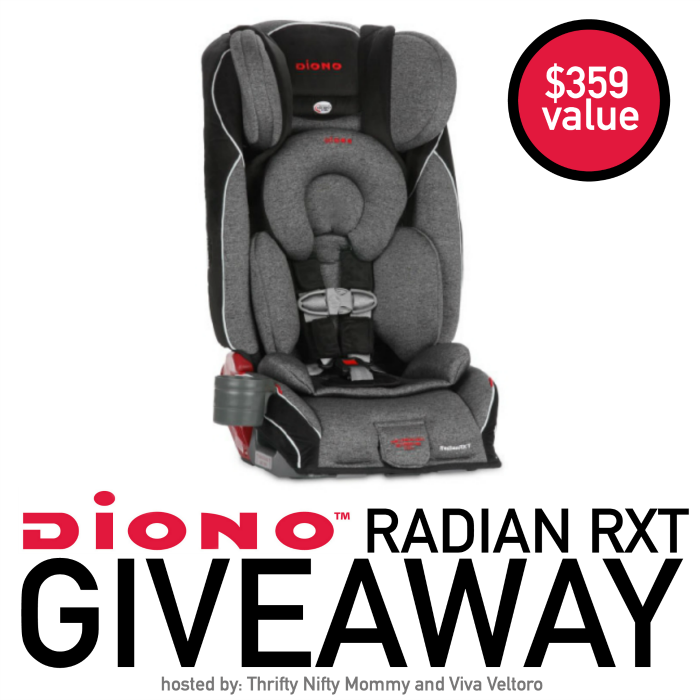 Also, be sure to check out and my Thrifty Nifty Mommy's review of the Diono Radian RXT & Viva Veltoro's review of the Diono Radian RXT to see these seats in action. Open to the US, ages 18 and up. Ends 6/17/16 at 11:59 PM EST. My daughter is ready to transition to a seat like this and I love the Diono brand. I would really love to win this car seat for my 4th child. He's 8 months old and will soon need a convertible car seat.